From the page of each boat you can choose the best day for your holiday in Menorca and visit Cala Galdana. Go to the booking section on the right side of each page of the boats and in the calendar select an available date. The boat rental season begins on June 1 and ends until the last day of September. Choose morning, afternoon or full day. We have three schedule options for boat rental without qualification. Full day, half a day (mornings) and a half day (afternoons). In the Time field you can select between the three available. If you want to choose the half-day schedule in the afternoon, select 14:00 PM – 18:00 PM. You can select the half-day schedule in the morning, to do so select 10:00 AM – 14:00 PM. If you want to choose the full day schedule you will have to choose 10:00 AM – 18:00 PM. To rent the boat without a qualification, you just have to fill in the rest of the form available on each boat’s page and pay 50% in advance. To complete the rest of the form you need to fill in the fields marked as mandatory, providing the full name and a valid email where you will receive notifications about the status of the reservation. Only notifications will arrive when the reservation is accepted. As additional fields to fill in you can provide additional information such as indicating a contact phone number, the number of adults and children that will occupy the boat and a field for details where you can tell us anything else. The last steps to complete the booking form are to accept our conditions of use indicated on each page of the ship and type in the Captcha field the combination of numbers or letters of the image to indicate that it is a real reservation and it is not spam. Finally, with everything filled in or with the required fields, press the send button. 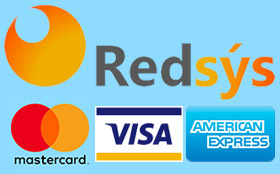 You can pay your reservation through two payment gateways: Paypal or Stripe. Select one of the two payment methods and follow the instructions on the screen to complete the payment. If you have any questions about how to book you can ask at any time from the contact page.